Hilton Melbourne Rialto Place offers more than 15,000 sq. ft. of flexible exhibit, ballroom and individual meeting rooms and boardrooms to host your next event. Whether planning a business meeting, corporate event, wedding or reception, we can comfortably accommodate groups with up to 800 people. Leave the details to our dedicated staff, who will ensure your event is a memorable one. Our Melbourne, FL hotel is also conveniently located only 1 mile from Melbourne Airport and near great local attractions and beaches. Our outdoor courtyard boasts a beautiful waterfall and fire pit, and is available for your wedding ceremony or evening reception. Feel at home at the Hilton Melbourne hotel, featuring 237 comfortable guest rooms and suites, restaurants onsite, 24-hour business center, recreational amenities, fitness center, complimentary WiFi, free shuttle service and more. Two amazing studios combine for one incredible experience. Unique, warm, hip. Enjoy the cool vibes of an awesome art studio as the backdrop to your next event. A brick loft-style studio with hardwood floors, baby grand piano (that plays on its own) and a wrought iron spiral staircase encourage conversation in our gallery studio, while 600 twinkling stars overhead add magic to our dance floor as your guests walk the red carpet to ham it up in our photo booth. A party just waiting to happen! Soak up the "cool vibes" of a working art studio & gallery for your next gathering. There is no easier way to have an event that your guests will always remember. It's already a party waiting to happen! And now we have an incredible sister studio right next door with twinkling stars overhead! A must see before choosing your venue. With over 30.000 sq ft of flexible event space Park Inn by Radisson specializes in large weddings to intimate gatherings. Our trained event staff will assist you every step of the way in planning you perfect event. From Quinceaneras too Weddings, Park Inn would be honored to help make your special day memorable. We pride ourselves in providing you and your guests stellar customer service without breaking the bank. Call our Catering Sales Manager today to find out more information! Transform your dream event into reality at Clarion Inn Lake Buena Vista. 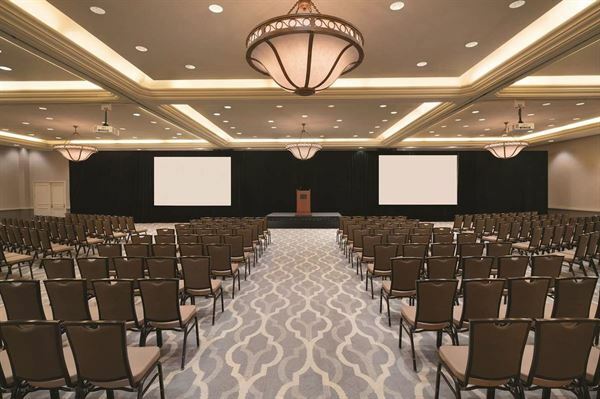 Our brand new 2,400-square-foot Rosen Ballroom with an outdoor, covered pre function area is perfect for Weddings, family reunions, baby showers, bridal getaways, birthday parties, graduation parties, luncheons, small meetings, conferences and other social or corporate events. Hold your event at the Clarion Inn Lake Buena Vista and have your guests stay only minutes from the gates of Walt Disney World. Allow us to handle all the catering through our in house catering with many unique menus to choose from created by our Executive Chef to make your event spectacular, we will even create a menu specific to what you are looking to offer your guests. Our banquet professionals are here to cater to your every need, allow us to make your event flawless and memorable. Twin Peaks is so much more than your typical sports bar. This lodge welcomes every guest with World Series walk offs and barrel-aged whiskey. The second you step inside, you’re surrounded by a lodge full of friendly and attentive Twin Peaks Girls serving up scratch food and our signature 29° beers. Only here can you truly embrace the Lodge Mantality. Twin Peaks never bunts when it comes to the menu. Whether it’s for lunch, happy hour or dinner, our guests can expect made-from-scratch menu items capable of satisfying every appetite – even that of an axe man. When someone steps inside a Twin Peaks, they’re immediately transported to an environment reminiscent of a comfortable cabin in the mountains. Even a first time guest will feel the familiar warmth a lumberjack would expect walking into their local lodge. Whether you're planning an extravagant gala or an intimate outdoor affair, your event should be an unforgettable celebration. With 8,000 square feet of flexible event space, our hotel offers lovely indoor and outdoor venues and detail-minded service to create the event of your dreams. Walk down the aisle through our tropical covered patio to the romantic white gazebo.or celebrate your Quinceanera and dance the night away. Ramada Gateway combines all of your needs at the right price! In addition to any of our event packages we welcome the opportunity to customize menus to create the exact wedding reception you desire! Share your vision with our expert staff, and we will help you create memories for a lifetime. The International Palms Resort Oceanfront Cocoa Beach features over 15,000 square feet of conference space for corporate events, weddings, meetings, conventions and more. We also offer an additional 10,000 square feet of flexible outdoor event space which can host beach weddings, ceremonies, ocean view receptions, lawn BBQ's, and much more. We offer multiple wedding and meeting packages to fit your specific needs and budget. Group room rates are also available. Please view all our wedding and meeting packages and find the perfect fit for you. We look forward to hosting your special event soon! Penthouse 450 offers you one of the most unique and sophisticated venues in the Orlando area. A wide range of events can be hosted from formal occasions like weddings and corporate presentations and a luxurious casual setting for social events like birthday parties and wedding showers. Ideally set in the heart of Downtown Winter Park and only a short drive from the Orlando International Airport, the Sanford Airport, Downtown Orlando, Central Florida's top theme parks and from the University of Central Florida, the venue is a prime location no matter where your guests are coming from! Holiday Inn Orlando SW- Celebration Area is a full service, interior corridor, 444 room property that is located 1.5 miles off of Interstate 4 and approximately 3 magical miles from Walt Disney World. We offer complimentary high speed internet throughout the hotel as well as a business center, complimentary parking, state of the art fitness center, a Breakfast Buffet served each morning, Lobby Lounge open each evening, and room service. With over 4,000 square feet of flexible meeting and banquet facilities, our Meeting Planners & Wedding Specialist provide you with professional, personalized service to ensure your event is successful. No matter how large or small your group is, at Holiday Inn Orlando SW- Celebration Area, you are guaranteed to receive our outstanding service. Relax, it's Holiday Inn!